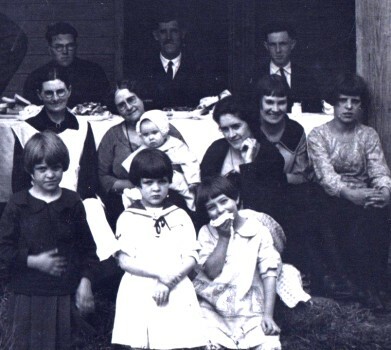 My great-uncle Bill Putman married Sibyl Carden. Since my grandfather and grandmother died before I was born, Bill and Sibyl acted like grandparents to us. They never had any children of their own. They took care of my great-grandfather, J.M. Putman, until he died in 1960. We spent many weekends and holidays at their home north-east of Pea Ridge. According to my father, Jerry Putman, the land was part of the old Carden homestead, that Bill bought from Sibyl's father. 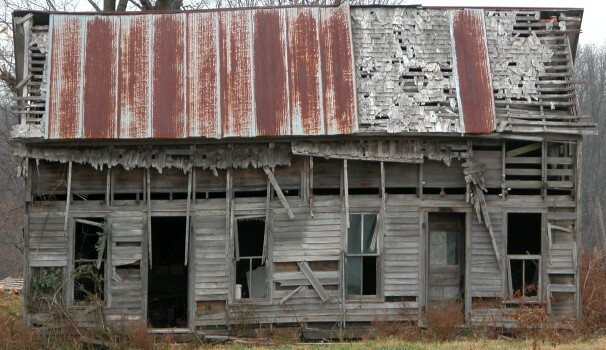 The Carden home still stands (barely) in the field near Bill's house. Robert Franklin Carden was born in Coffee Co. TN and died in Pea Ridge, AR. He married Rachel Mitchell (Jan 11, 1808 - Sep 4, 1897). They are both buried in the Carden cemetery In the 1880 Census, Sugar Creek, Benton, AR, Rebecca lists her father as being born in VA. Ancestry.com mentions that he was born in North Carolina. However, Tennesse makes more sense based on his date of birth. James F. Carden married Matilda and had one son. He later married Abasbuin Wooley and had one daughter. Thomas Carden married Polly and had at least one child. He may have died in the Civil War. There is a tombstone in the Carden cemetery for Thomas L. (last name unreadable) that lists date of death as Jan 10, 1879. Unfortunately, the date of birth does not match so it may or may not be the same person. 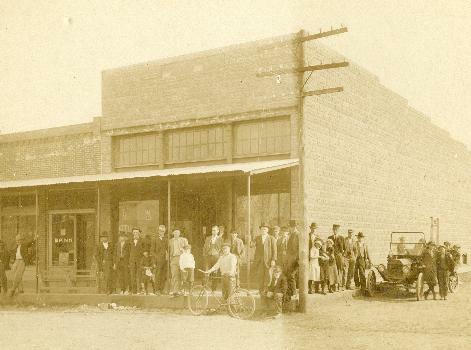 On Jul 20, 1868, Marilda Carden married Robert Hall Patterson in Benton Co AR. She is buried in the Patterson Cemetery, Pea Ridge, Arkansas. Cynthia is listed in the 1880 census as daughter of William and Locky. On Jun 26, 1884, Cynthia married Perry Calloway Vine Dean (Jul 22, 1859 - Feb 4, 1927). She is buried in the Carden cemetery. In 1926 Carrie married Lacy Robert Edwards (Jan 2, 1904 - May 25, 1949) in Gainseville, Florida. Lacy R Edwards is buried in Santa Fe Cemetery, Hampton, Florida. On Jul 20, 1948, Mildred married Zena Tetstone in Folkston, Georgia. 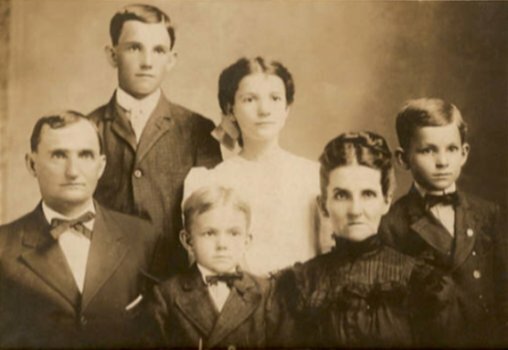 On Feb 11, 1883, Marilda Carden married John Horace Buttram (Oct 20, 1864 - Jun 24, 1907) in Pea Ridge, Arkansas. Marilda is buried in the Carden cemetery. John Buttram is buried in the Buttram Cemetery. 5-1 Margaret Sue Buttram (Dec 25, 1885 - Oct 1, 1908). Maggie is also buried in the Carden cemetery. Margaret is listed in the 1880 census as daughter of William and Locky. She married Phillip Melanchthon Clayton. Sarah T. Carden is buried in the Carden cemetery. Her tombstone says that she is the daughter of W. L. & L. M.
John Thomas Carden was born in Pea Ridge, AR. On Dec 24, 1893, John Thomas Carden married Victoria Testerman Carden. They are buried in the Pea Ridge Cemetery. There is an Ezra Carden and Chester Carden buried in the Sunset Memorial Cemetery in Warden, Grant County, Washington. To reach the cemetery from I-90, take the Warden exit which will wind around left/south onto Hwy U SE for about 10 miles. This takes you through the town of Warden about 2 miles. Cemetery will be on your right. 5-3 Trudy Carden married Sally McNabb. On July 28, 1928, Mable Carden married Herbert Givens (born after 1907) in Pea Ridge Benton Co AR Herbert and Mable Givens had one child. They are buried in the Pea Ridge Cemetery. 6-1 Mary Lee Givens married Charlie Adams. They are buried in the Pea Ridge Cemetery. Zoe married Glen Foster. She died at her home in Pea Ridge, AR and was buried in the Pea Ridge Cemetery. William is listed as two years old in 1880 census. He married Estella Lucinda Pendergraft (Feb 26, 1889 - Feb 3, 1980). They are buried in Twelve Corners Cemetery. 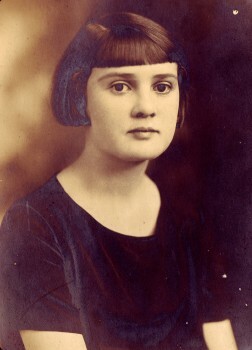 5-2 Madge Carden (Jan 1, 1919 - Jan 7, 1919) She is buried in the Carden Cemetery. On Jan 4, 1857, Sarah Carden married Henry Franklin Williams (Mar 31, 1835 - Jun 6, 1865). Sarah and Henry are both buried in the Carden cemetery. Joel apparently served in the Confederate army, the 7th AR regiment. He was captured in Pea Ridge AR, on Mar 8, 1862, and died Mar 21, 1862 of Pneumonia in Alton IL at a Civil War POW camp. On Aug 8, 1874 Robert Carden married Lucy Burnett (Dec 27, 1852 - NOV 5, 1920) in Benton County, Arkansas. They are buried in the Pea Ridge Cemetery. 4-2 Thomas L. Carden (born 1879) is listed in the 1880 census as son of Robert and Lucy. 4-3 Alice Belle Carden (Jun 08, 1881 - Jun 16, 1973) Bill E. Southern. 4-4 William Franklin Carden (Sep 30, 1884 - Jun 26, 1968) married Carolyn Pace 1910. 4-5 Mary Ann Carden (Sep 04, 1886 - May 25, 1975) married William Chaney. 4-7 George Washington Carden (Oct 14, 1891 - Jun 09, 1983) married Clara Frances Clanton Dec 21, 1919. Joseph Carden was born in Pea Ridge, AR. On Dec 12, 1918, he married Effie Theresa Vaughn (Sep 4, 1901 - May 10, 1981). They are buried in the Pea Ridge Cemetery. 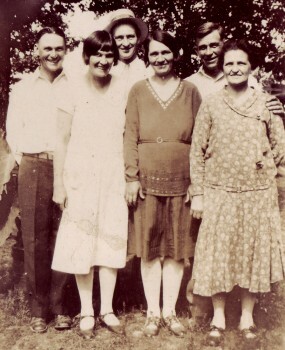 Back; (L-R)Burch Estes Dean, Caroline "Carrie" Virgina Dean (Keith's grandmother), Hiram Calloway Dean. Teresa Putman, Mrs. Carnaham, Lela Putman, Mable Carden, ? 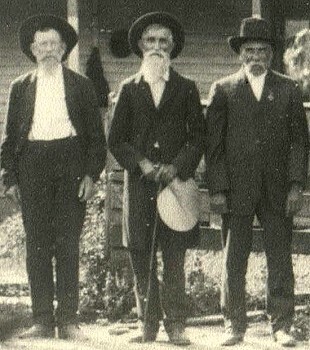 Captain Pickens, Leno McDonald, Rev. 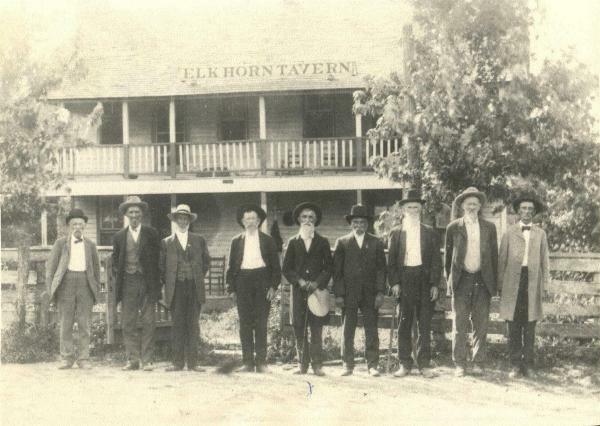 Wilson, John Hileman, William L. Carden, John Woodard, John Hilhair, J.C. Lee, and Jimmie Long at Elkhorn Tavern in Pea Ridge, Arkansas for a reunion around 1918.